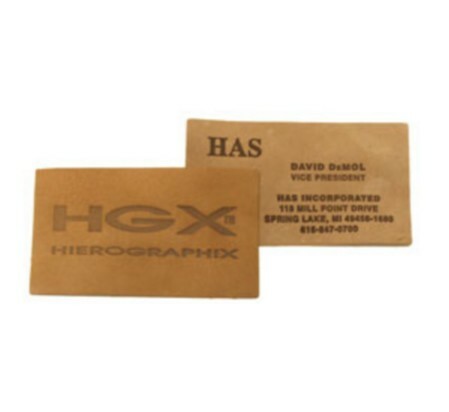 Natural Leather Business Cards are unique business tools that can set you apart from the rest. They are cut from natural buffed leather then branded with your information. Overall Size: 3 1/2" x 2"
Imprint Area Size: 3 1/4" x 1 3/4"